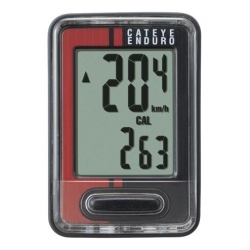 The Cateye Enduro ED400, with heavy duty wire, is a robust and long lasting cycle computer. These computers are particularly good for fitting to unusual bicycles because the sensor can be taken apart and re-assembled without tools. This makes it possible to pass the sensor through an 8 mm hole in, for example, the body of a velomobile, and the hole can then be sealed with a rubber gromit. 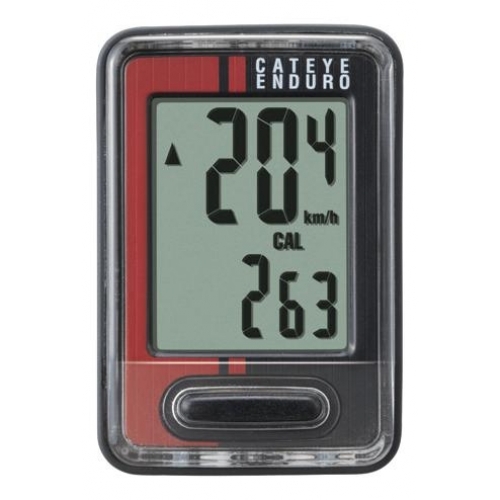 Note that some photos in the additional images show an older version of the Enduro 8 bicycle computer. This is my personal bike computer used for almost 30000 km of riding at the time of writing. I've seen other examples with over 100000 km of use.